The present finds us constantly in motion. Often inundated with notifications from everyone everywhere with few spare moments to meditate on any possibilities of stillness. Yet, the same questions still exist. Why are we here? Is there intelligent life on other planets? What is your favorite record? Where are my keys? To begin our conversation, we would like to introduce ourselves with a dynamic collection of distinctive objects to comfort your ever changing time and space. 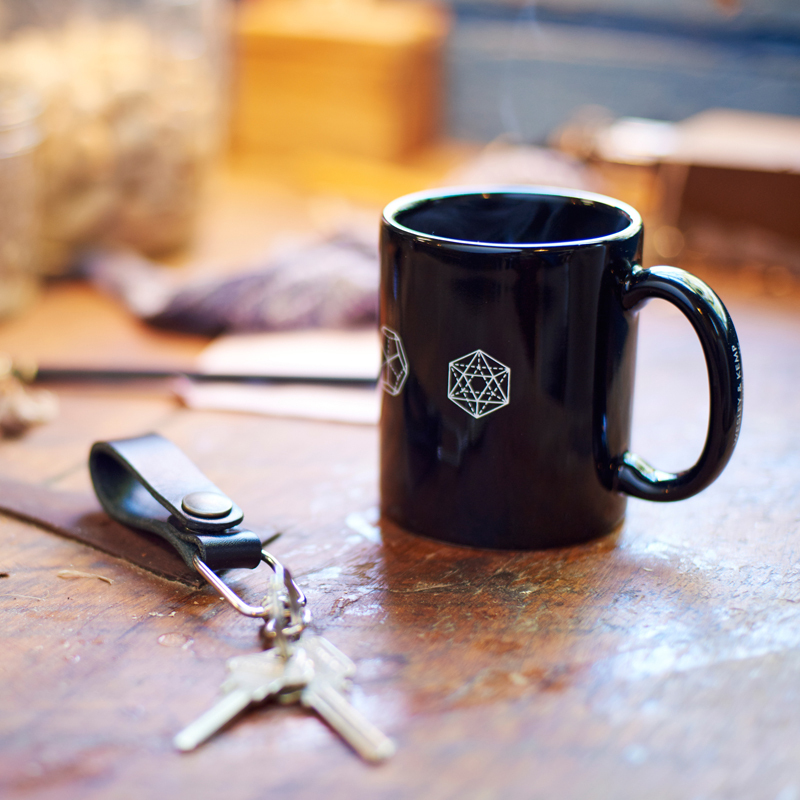 This sturdy Leather & Steel Wire Key Clip and Union Made Ceramic Mug make everyday moments extraordinary. Take it outside with our first Artist Print T-Shirt, featuring a piece from Pat Perry's book "Drawings About Black Holes," printed on the finest quality garments available. 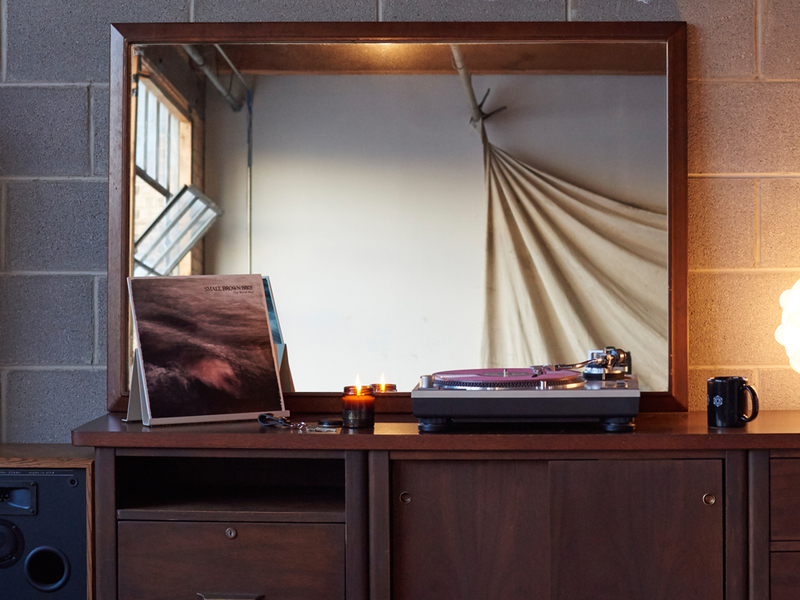 The A-frame Record Easel is a perfect way to safely hold and display album artwork while enjoying the entire vinyl listening experience. It's a beautiful addition to any space... made out of powder coated bent steel. A nomadic, mid-west born artist, Pat has the breathtaking ability to navigate and communicate with his own unique and imaginative take on the world. His visions reflects the raw energy of an uninhibited, rough and rowdy existence that is forever tied to doing what is right (while monitoring and calling out those who don't). His works often includes figures, houses, and familiar objects that function as characters (and sometimes symbols) lost in nostalgic chaos between memory and dreamscapes... shared as folklore. Pat's affinity for exploring new spaces and adrenaline mix well with his love for freight train hopping and riding motorcycles. He has traveled the country by both, meeting new people and documenting his voyages along the way. A prolific rover, he is constantly creating new drawings, photos, writings, paintings, and murals... leaving artifacts like breadcrumbs all over the world. 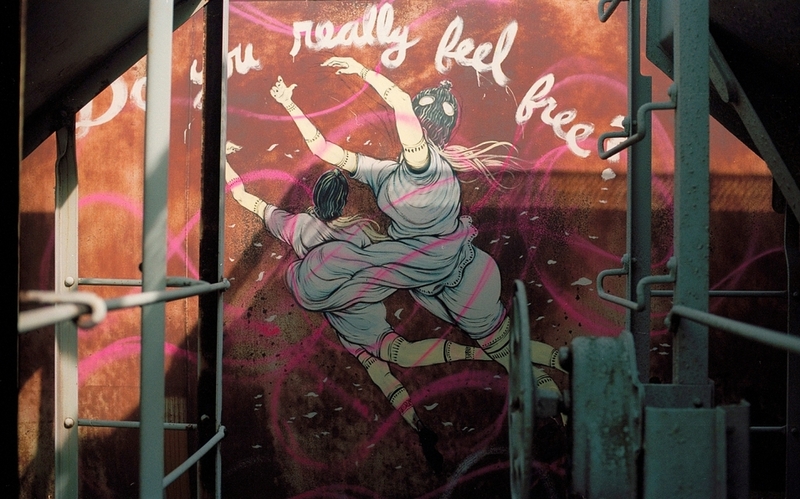 His illustrations have been in everything from the New York Times to The Science Review, and he has been featured in publications such as Juxtapoz, Hi-Fructose, and The Huffington Post. 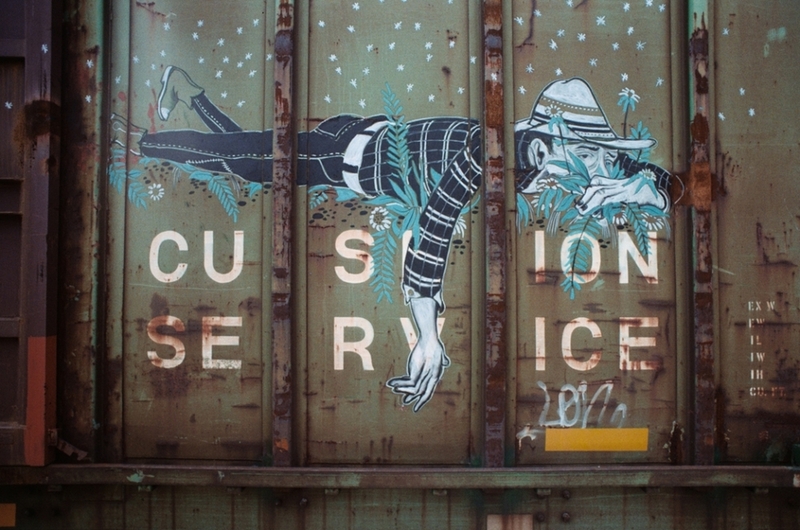 We are thrilled to have Pat Perry as our first artist in the print series! 20% of the proceeds will go directly to the Boggs School in Detroit to support creative learning and whatever the kids may need. This is a limited edition of 500 prints, and each one comes with a title card printed on archival stock. Check out Pat's Instagram, he is always posting something new and inspiring!